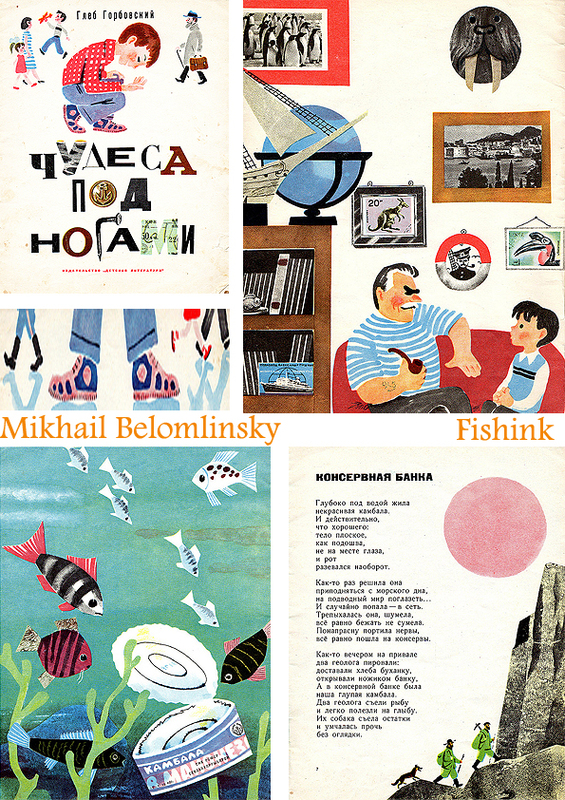 Mikhail Belomlinsky Children’s Russian Illustrator. 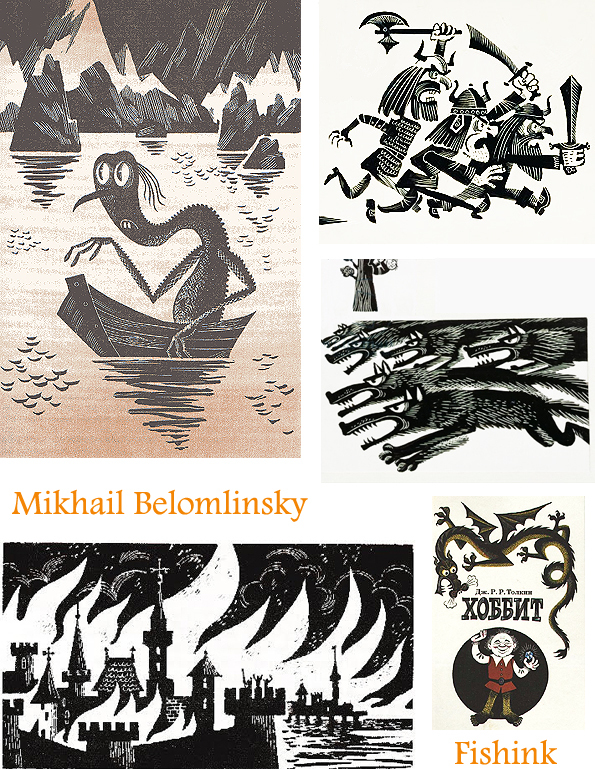 Mikhail Belomlinsky was born in 1934, started drawing as soon as he could hold a pencil and has never stopped since. Born in St. Petersburg, Russia, Mikhail received his MFA in illustration from St. Petersburg Academy of Fine Art, one of the most respected art schools in Europe. Soon after graduation, Mikhail was given an opportunity to illustrate JRR Tolkien’s “The Hobbit,” and his journey began. He has worked in the illustration market ever since and has been commissioned to do books, posters, greeting cards, caricatures, cartoons, and digital illustration in addition to a variety of other art-related jobs. 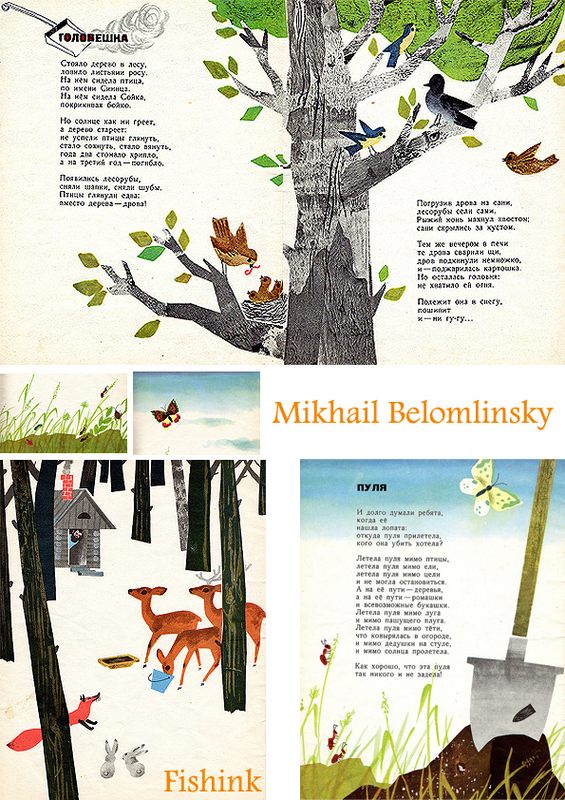 Thanks to Kidpix for scanning Mikhail’s wonderful illustrations from the 1967 book ‘Wonders Under the Feet’ by Gleb Gorbovsky. 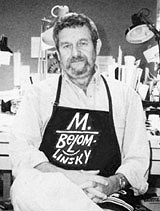 In 1989, Mikhail moved to New York City and has worked as a creative director of Novoe Russkoe Slovo, the largest Russian daily newspaper in the United States. He has over a hundred books published worldwide and Mikhail’s work has been featured in numerous galleries and exhibitions. In this new age, the means of communication and information sharing has shifted towards web-based content. 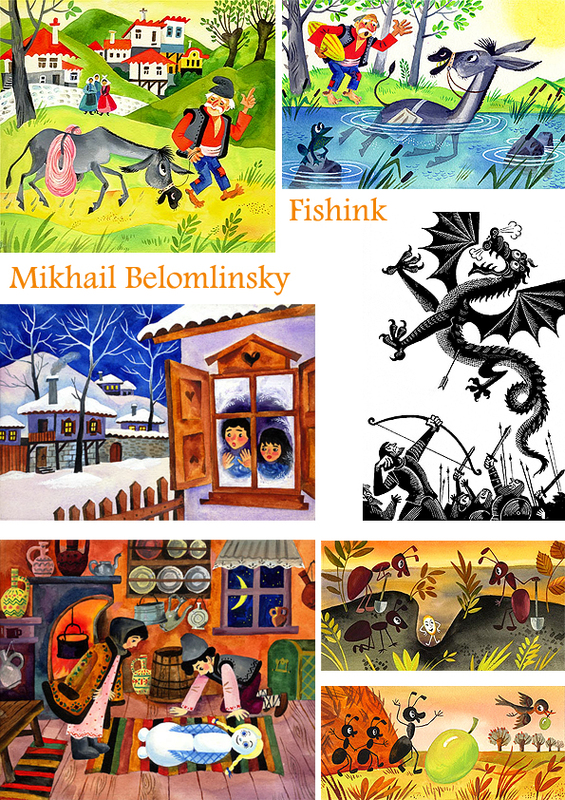 The desire to add vitality to pages and deliver joy and wonder to generations of readers drove Mikhail to create an online art gallery, which helps Mikhail to continue doing the thing he loves most-illustration. 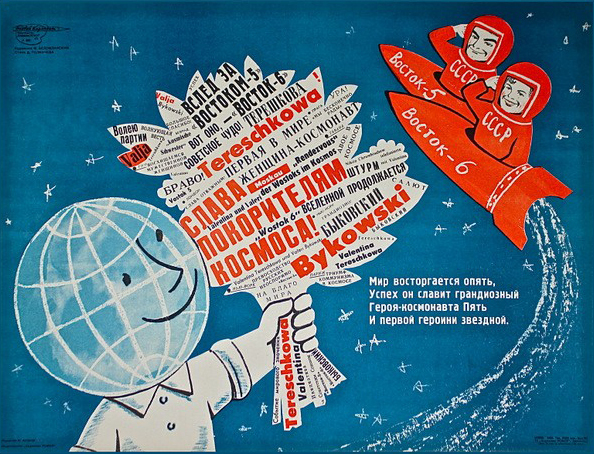 I particularly like this space poster created in 1963, issued to commemorate the Vostok-5 and Vostok-6 group flight. The pilot of the latter spaceship was Valentina Tereshkova, the first woman to fly to space. You can find more of Mikhail’s work here. Looks so simple, yet it is pretty difficult. Children’s art impresses me. Thanks Frank, I quite agree. Thanks for your comment. Hi Alex, thanks for the link, I’ve now added it to the post. Thanks for letting me know.